Zamia is a genus of shrubs native to the Americas, particularly tropical areas. Of particular interest to gardeners is the Zamia furfuracea, or the cardboard palm a small, upright bush with thick leaves that radiate outward from its truck. Despite its name, the cardboard palm is not a palm tree its name comes from its growth habits, which are similar to those of palms. However, many species in the Zamia genus resemble palms, especially because of their turgid leaves. Cardboard palms are cone-producing bushes with extremely stiff, flat foliage that grow to about three feet tall at their highest. 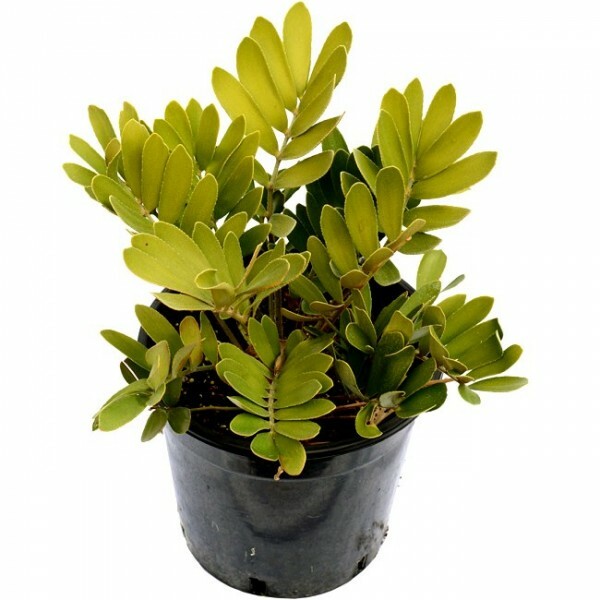 Zamia furfuracea is fairly tough and does not require much care in temperate environments, it can be grown as a houseplant, and in subtropical areas it can be grown outdoors. Though the cardboard palm is considered at risk because it is frequently illegally obtained fully grown in the wild, it can be bought already grown or as seeds online or in many nurseries. However, if you plan on growing Zamia furfuracea, be forewarned: all parts of the plant are highly toxic. Make sure to keep it away from your pets. Light: Extremely bright light is best for cardboard palms. Direct sunlight will be just fine, especially during the plant’s growing season. Water: Though they don’t require too much water, try to keep their soil fairly moist. When in doubt, water sparingly too much will cause their roots to rot. Temperature: These are fairly hardy, though you should keep them out of extreme cold. They can survive anything from moderate cold all the way up through tropical heat. Soil: Make sure their soil drains well, but other then that they have few soil requirements. A regular potting mix will keep them healthy. Fertilizer: Feed twice a year with general palm food once in the beginning of the growing season in the spring and once in the beginning of the fall. Zamia furfuracea propagates only through seed: moreover, it is extraordinarily difficult to germinate as a houseplant. If you plan on growing these, it’s advisable to buy them once they’ve already germinated rather than growing them from seed yourself. The cardboard palm is only one of about fifty species within the Zamia genus. Though all Zamia species produce crowns of foliage, there is some variance in the appearance of the leaves: some, like Zamia roesli, have a reddish tint, while those of the furfuracea are solid green. Though most, like the cardboard palm, are terrestrial, some for instance, Zamia pseudoparasitica are epiphytes that grow in trees. The most popularly grown species within the genus, however, is the cardboard palm. These are fairly hardy plants that don’t require a great deal of care. Make sure to keep them in well-drained soil and make sure to give them lots of light especially during the growing season in spring and when the plant is young. Fertilize twice a year, water sparingly, and your cardboard palm can grow quite well either outdoors or as a houseplant.